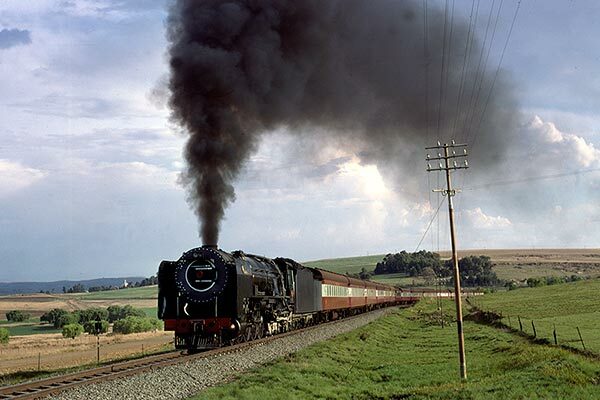 Caption - South African Railways class 25NC 3421 climbs away from Fouriesburg towards Slabberts with the daily Bloemfontein to Bethlehem passenger in October 1980. The loco was in superb external and mechanical condition making light work of the heavy load. The landscape is nice and green in contrast to the winter scene I had been more familiar with.